You can hear me and feel me but you can't see me or smell me, yet everyone has a taste in me. I can be created, but after that only remembered. What am I? 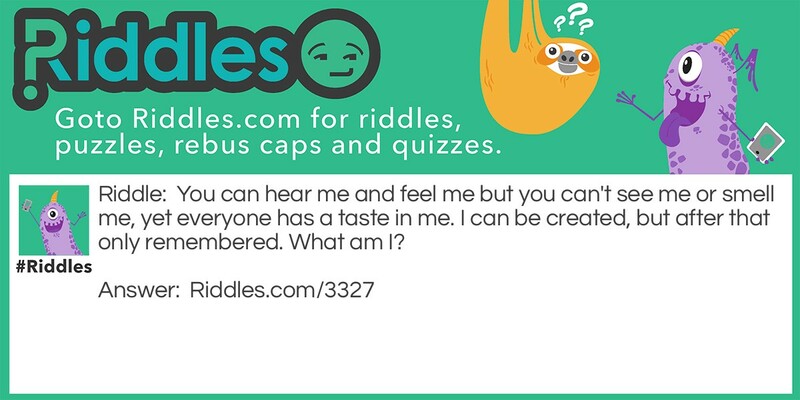 Invisibility Riddle Meme with riddle and answer page link.